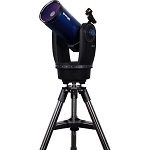 Meade's LX200-ACF Telescope brings to market a sophisticated catadioptric optical design favored by research facilities worldwide, but at a price that many enthusiasts can afford. Most professional applications are either this style of telescope or a gargantuan apochromatic refractor. 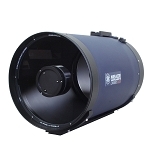 Meade's 10" LX200-ACF with UHTC multicoatings provides a serious deep space aperture in a size still ably transported within most vehicles by just a single person, and gives all this in a complete package within financial reach of many observers. 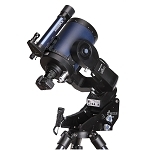 If you're used to 8" Schmidt-Cassegrains and their performance, this LX200-ACF 10" scope will be a notable step up in all optical parameters. 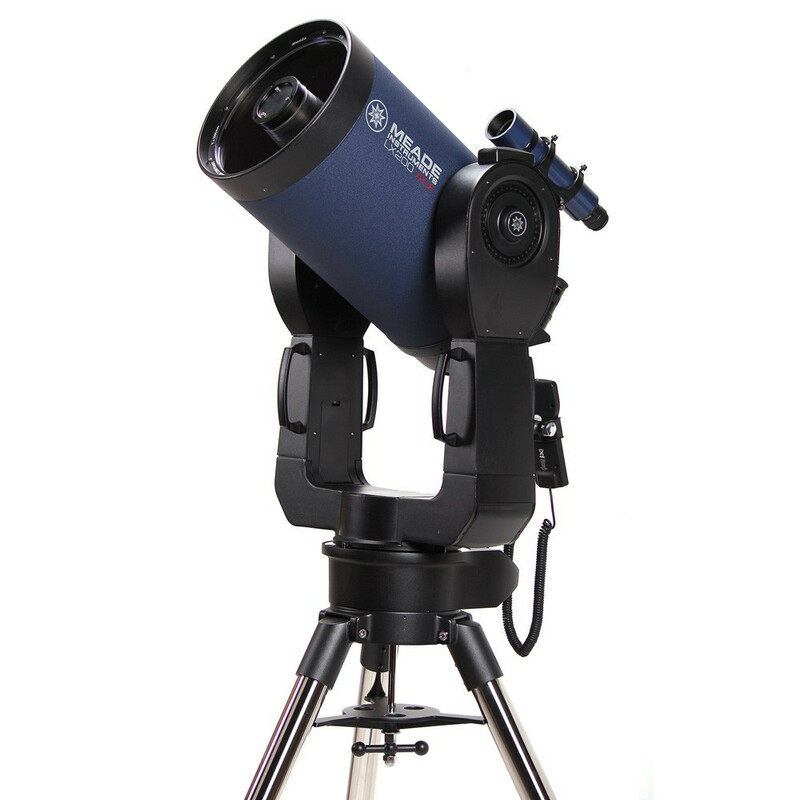 Although this premium 10" catadioptric scope is delivered in a robust twin-fork altazimuth mount that's meant for delightful observing, it is easily adapted to extended astrophotography by using either Meade's Deep Sky Imager (which eliminates field rotation via software), Field De-Rotator, or #07008 Equatorial Wedge. 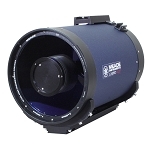 For 2009, Meade has refined the delivery of the LX200-ACF models to meet the demands of the marketplace. 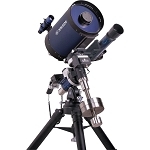 They now no longer include an electric focuser as standard equipment, and use a Series 4000 Super Plössl eyepiece instead of the Series 5000 version. UHTC Ultra High Transmission Coatings (employed upon all optical surfaces) yield a 20% decrease in light loss and dramatically-enhance detail of deep space objects. Box Dimensions (LxWxH) 38.5 x 25.5 x 18.5"